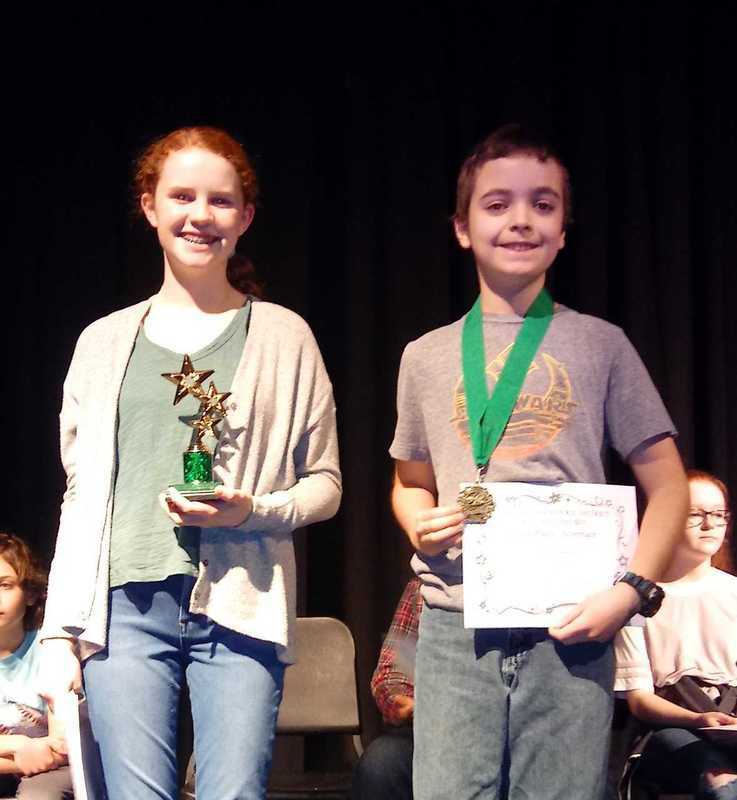 On Thursday, February 21st, the top two spellers from grades four through eight competed in the Lake Chelan School District 2019 Spelling Bee.The ten competitors were Rocco Domser and Merritt Peebles (grade 4), Brennen Gavin and Lydia Ware (grade 5), Caleb Bertomeu and David Kelly (grade 6), Elizabeth Peebles and Adi Toe (grade 7), and Olivia Strandberg and Lauren Ware (grade 8). Olivia Strandberg, an eighth-grade student at Chelan Middle School, captured the final round with the word, wastrels, which are “things rejected or discarded as useless or imperfect.” Already a three-time LCSD Spelling Bee champion, Olivia sealed her fourth year as top speller with the championship word, cologne. After the final round, Olivia, a young woman of many talents, dashed away to her final CMS girls basketball game. 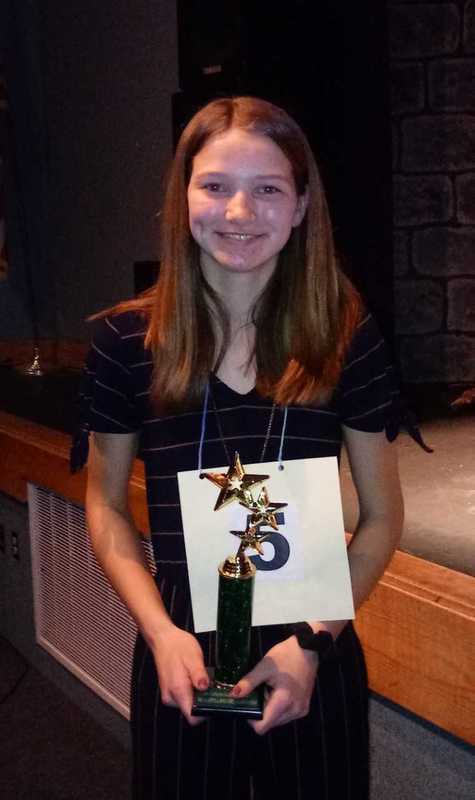 Lauren Ware, also in eighth grade, earned a solid second place, spelling correctly through 13 rounds and only replacing an O with an A in gondolier. After the top two winners were decided, an alternate round was held between Elizabeth Peebles, Caleb Bertomeu, and David Kelly to determine the third place winner, who will serve as the alternate at the regional competition. Caleb Bertomeu earned third place with his final word, dervishes, and that round’s championship word, treacle. Olivia and Lauren will both move on to the regional North Central Washington Collaborative Spelling Bee, on March 19, at 6:00pm. The regional bee will be held at Eastmont Junior High School in East Wenatchee, and family and community members are encouraged to come and support our young spellers.